Nintendo isn't worried about Apple wresting dominance in the battle for your living room. Even if the iPhone maker could announce its long-rumored television at some point this year, Nintendo President Satoru Iwata says he isn't worried about Apple's new device taking attention away from the Wii U. 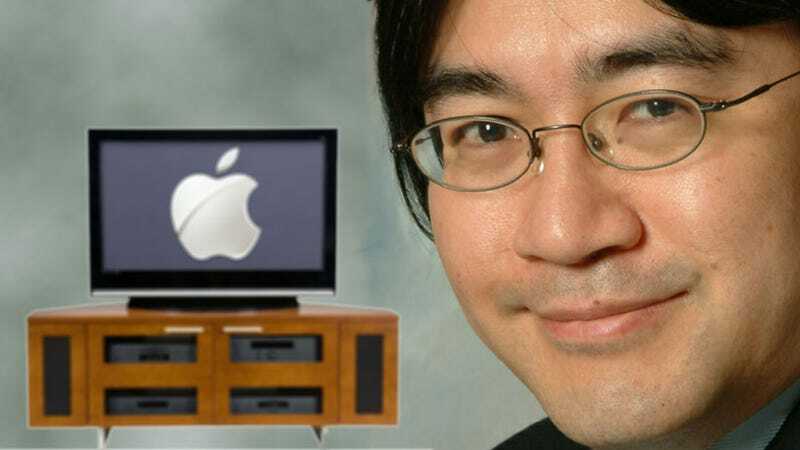 In response to a question during an investors Q&A last week in Los Angeles, Iwata said he doesn't think people will flock in droves to an Apple television. "We see in the mobile phone market that typically there is a cycle of people replacing their phones roughly every couple of years so a new device like a smartphone penetrates the market quickly," he said. "But when it comes to the television market, the cycle for television replacement is actually much longer; say a five-year cycle at the shortest, to a seven or even 10-year cycle at the longest. So, however fantastic the new television is to be launched, it's not as likely that people will immediately move to upgrade a television necessarily because of that longer cycle."